The Early Patents of Brunswick, Mecklenburg and Lunenburg County before her, tell the story of the interelation, entanglement and bonds of my ancestors as neighbors and relations who intermarried, interacted and emigrated together. When Henry Davis married Mary Marriott in Surry County, they established another connection to the oldest families then in Virginia. Both the bride and the groom could trace their ancestory back to the early settlers at Jamestown. 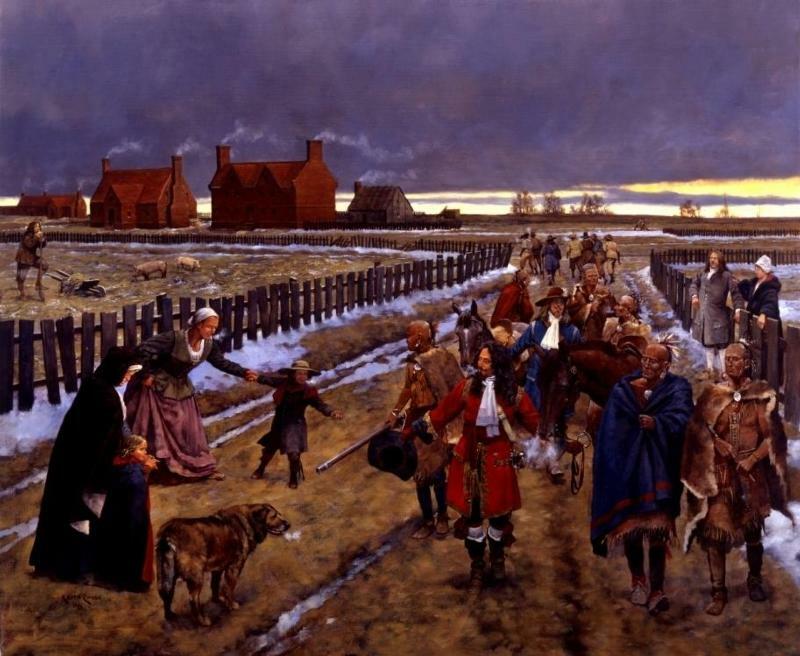 Davis' mother, Elizabeth Warren, was a direct descendent of William Spencer, who arrived in 1607. Josiah Floyd Sr. was given a patent on Avents Creek. The same area the Winfields would live and eventually, several of the children of Henry Davis. The names are reflected in the later, younger arrivals to Anson/Montgomery/Stanly County, because these were their, our, ancestors. 428  Josiah Floyd 15 Dec 1758 VPB 33:526 243a Lunenburg/ on both sides of Avents Cr. For Example, Edward Winfield, father of Peter Winfield, who migrated to Anson County along the Rocky River about 1785, own two patents, one on Jeneto Creek and another on the Branches of Avents Creek. Peter would marry Charlotte Freeman, daughter of Arthur Freeman and his brother Joshua would marry her sister Jemima Freeman. The younger of Arthur Freeman and Agnes Stokes Freeman's daughters, Kesiah Freeman, would marry Richard Meanley (would evolve into Manley). The Meanley's along with Freeman and Stokes and Robertson relatives, would be in the party of travelers that Peter and Charlotte Freeman Winfield would emigrate to Anson County, North Carolina. Peter would buy land from Henry Mounger, whose name also shows up in Mecklenburg County, Virginia before showing up in those of Anson and Montgomery counties of North Carolina. Joshua Winfield would remain in Brunswick and after the death of Jemima Freeman Winfield, would marry Rebecca Thrower Carloss, daughter of Hezekiah Thrower and widow of Robertson Carloss. Some of Joshua's children and his stepson would migrate with Peter to Anson. While the older generation would stay there, the younger generation would continue to migrate to Marlboro County, South Carolina. Among these were the Roberston brothers, Drury Jr. and James, who had married Winfield sisters, nieces of Peter, Mary and Martha Winfield, while Peter and Drury Robertson Sr would remain in Anson along with son Booth Robertson. Also among these were nephew Joel Winfield, who would help establish Bennetsville, SC and ran an Ordinary there. Richard Meanly and Kesiah would be in the bunch of Anson residents along with Ropers, Randles, Howells and Logans who would migrate to Tennessee by the 1820's. Other families who lived in this same area, on the creeks that crossed the northern eastern border of Mecklenburg and northwestern border of Brunswick were the Penningtons, Laniers, Taylors, Nance, Malone, Duke, Ezell, Fielding and a very good friend of Peter Winfield, Sam Marshall. Many other families some of whose relations would migrate to the Anson/Rowan/Montgomery/Cabarrus/Stanly County area of North Carolina also orignated in Southside Virginia, although from along different sections of this county and with other combinations of families including Chandlers who settled along the Meherrin River. 712  Samuel Marshall  6 Apr 1769 VPB 38:587  366a Mecklenburg/ N side of Avent's Cr. 511  Drury Malone 12 May 1759 VPB 34:290 390a Lunenburg/ Brs. of Jeneto Cr. and Avents Cr. 724  George Malone jr 15 Jun 1773 VPB 41:378 420a Mecklenburg/ on the brs. of Avents & Jenento Cr. 547  John Taylor Duke 20 Aug 1760 VPB 34:661 245a Lunenburg/ head of Taylor's Cr. & Flatt Cr. 366  John Taylor Duke  14 Aug 1754 VPB 32:387 400a Lunenburg/ on the head brs. of Jeneto Cr. 277  Joseph Chandler 10 Jun 1760 VPB 34:510 1850a Lunenburg/ both Sides of the S Fork of Meherrin Riv. 725  Sack Penington   15 Jun 1773    VPB 41:399   405a Mecklenburg/ on the Waters of Jeneto & Avents Cr. 406  William Penington  16 Aug 1756    VPB 33:66   367a Lunenburg/ both sides of Stiths Cr. 252  William Pennington  3 Nov 1750 VPB 30:403 630a Lunenburg/ on the head Brs. of Avents Cr. Both the Davis family and the Winfield family originated in Surry County. Edward Winfield was the son of Jarvis Winfield of Surry and Henry Davis, several of whose children settled in Mecklenburg and Brunswick, was from Surry. There was already a separate and possibly unrelated Davis family who was already there when Henry Davis and Mary Marriott Davis heirs arrived there. Henry Davis was the son of James Davis and Elizabeth Warren. His family roots trace back to the Jamestown Ship Captain James Davis, son of Sir Thomas Davis and wife Rebekah Keyes. Jarvis Winfield was the son of William Winfield and the grandson of Jarvis Dix and Hannah Wynne, daughter of Sir Thomas Wynne. 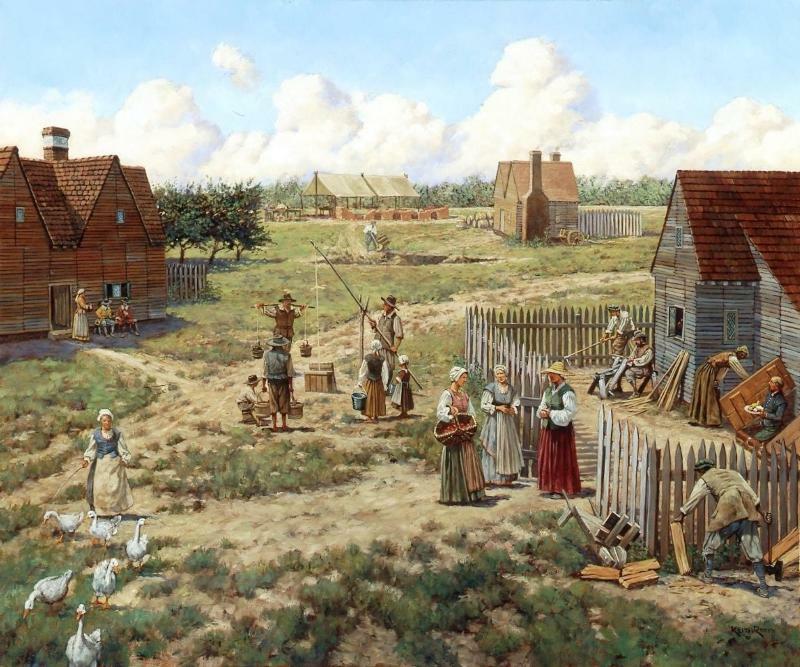 The Win(g)field family also has roots in the origins of Jamestown. These are very old Virginia families. I recently traveled to this part of Virginia on vacation, trying to find anything I could on the families I descend from and above all, to find definitive proof of the parentage of Job Davis. It became more clear, that my theory of his being a grandson of Henry Davis and Mary Marriott Davis, because of his close association with Josiah and Mary Tillman Floyd, whom he migrated with in 1794, at the age of 21, and according to the 1839 deposition he gave for Mary to receive a widow's pension from Josiah Floyds' Revolutionary War service, lived with them for 18 months and lived within 2 miles from them for almost 40 years. Mary Tillman Floyd was a granddaughter of Henry Davis and Mary Marriott Davis. Records clearly trace the marriages of her mother, Rebekah Ann Davis, oldest daughter of the above couple, who first married a Roger Tillman, had 3 children Mary, Nancy and Henry. Henry named his mother and his two sisters in his will. She then married James Taylor and had several more children. James Taylor and his family, in particular, were also very entangled with the Floyd, Davis and Winfield families. While I did not find a document that named Job as the son of any particular Davis, I was able to find several documents of close interaction between these families, and through the process of elimination, narrowed down to who were not his parents, and then possibly who may have definately been. The biggest treasure was finding the Will of Randolph (sometimes seen as Randle) Davis, who had married his first cousin, Hannah Marriott, daughter of Thomas Marriott and niece of Mary Marriott Davis. The name Thomas Marriott, be it her father or her brother, Thomas Marriott , Jr. is often seen in close association with the Winfields as well. What I left with was two assurances and two probabilities. - Job Davis and his future wife Sarah Winfield, both born in Mecklenburg County, Virginia in 1773, probably knew each other from childhood. -They both grew up on Taylor's Creek in St. James Parrish. - Per Randolph Davis' will, his brother James was living in 1825 when his will was written. - James Davis, whose will I will have to order and wait on, was living in Mecklenburg County at the time of Job's birth. He married first Sarah Holmes and second, in Brunswick, Lucy Walker. Both the wills of James Davis and Lucy Walker Davis are in Brunswick County, 1830. This blog has some really fascinating information of how one can relate ancestors to those who are present in some other family and form the land where we live in today. Simply amazing.